For some people travel causes a lot of anxiety. What if you forget to pack something? What if you miss a flight? Many what-ifs.. even with me. For example I have a habit of double-triple-quadruple checking if I have my passport. 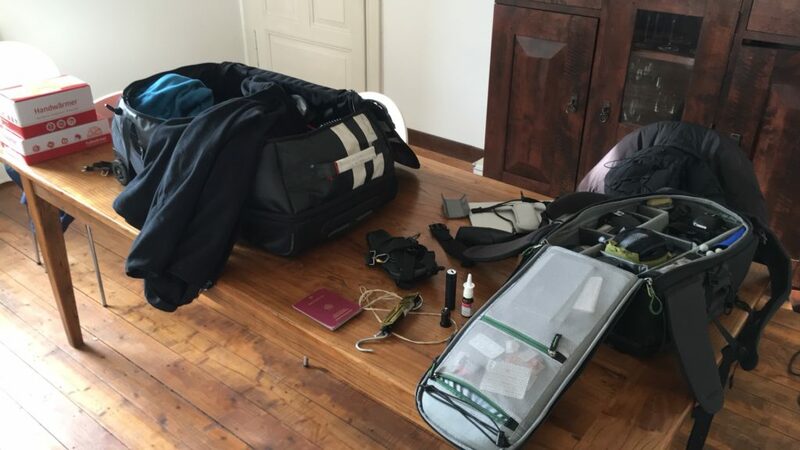 Over the years I probably made almost every mistake there is when it comes to travel. But I’ve come up with a list of things (and stuck to it) that have one goal: peace of mind. Biggest one first. Sit down for 20 minutes and in your mind, go through different situations on your journey and think of what you will definitely need. And what you can do without. Use any simple tool at your disposal to capture these points. I use the reminders app on the Mac and iOS because they sync nicely. 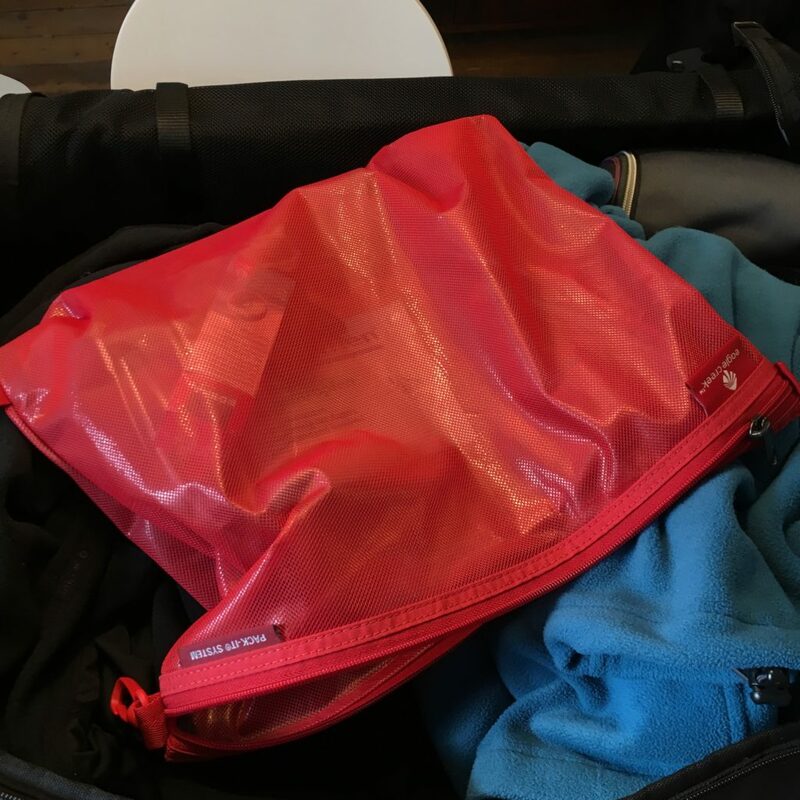 My list contains things like: toiletries, earplugs, fleece jacket, sunglasses, computer & power supply, pen, passport, pants, hat. The travel checklist is the ultimate peace-of-mind tool. I know it’s easy to overpack. When making your list, make sure that every time you add something to also think: will I really need 3 pairs of shoes? What if I forget this? Could I buy it where I go? You wouldn’t believe how often I forgot to pack my favorite shower soap because subconsciously I knew every hotel will have soap. I’m not sure if that’s the right term, but if you’d tip over my duffel and pour everything out on the hotel bed, you’d end up with about 5 separate bags. 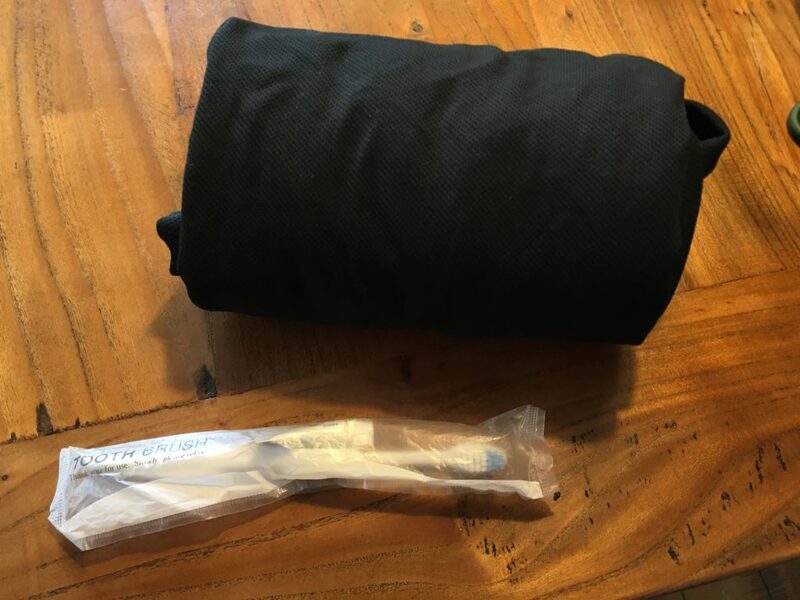 One holds socks & underwear, one for stuff above the waistline (t-shirts, fleece jackets), one for pants, one for other stuff (hats, gloves, ..) and one for tech stuff like cables, power adapters, and so on. They come in different colors and sizes and materials (I like the mesh ones) and they make it so easy to find stuff, and unpack and re-pack while things stay tidy. Smaller stuff sometimes goes into ziploc bags. You see the contents and things stay together. Makes it quick to find stuff. Some of my t-shirts and underpants are specifically made for outdoor travel. They’re easy to wash in a hotel sink and they usually fully dry within just a couple of hours. 1 light t-shirt, 1 pair of socks, 1 pair of underpants, 1 emergency toothbrush set – put those IN YOUR CARRY-ON LUGGAGE. You’ll thank me once you run into a cancelled flight that will result in an unplanned lay-over where the airline will either not give you anything or a pack with a pair of horrible paper underpants. Happened to me. Another one of those anxiety things that are easily taken care of. Will my luggage be over? Will I have to re-pack things while in line at the check-in counter? Will I have to leave things behind? 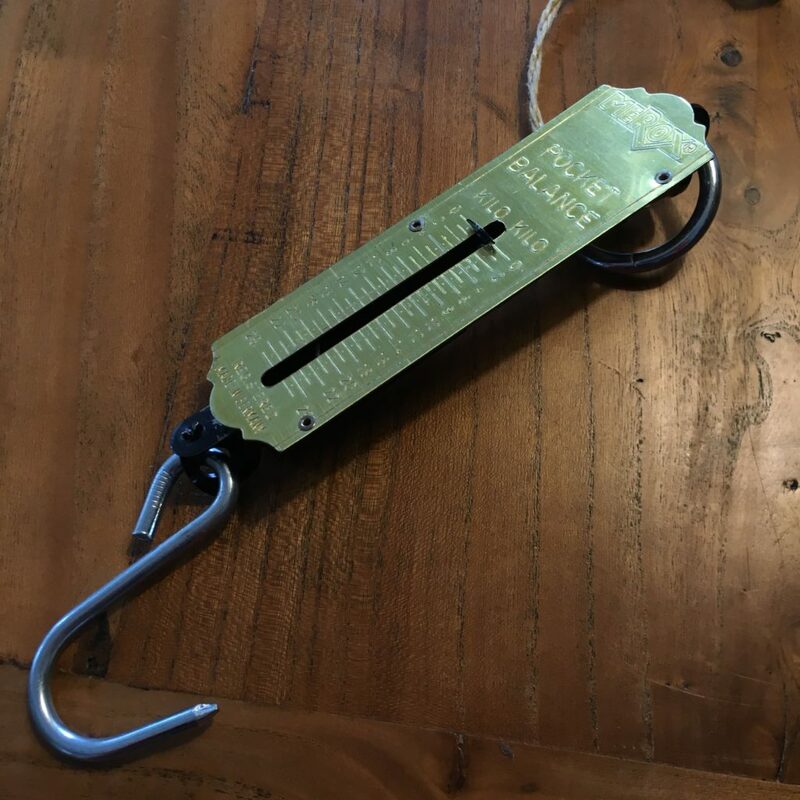 Get a pocket scale – fishing scales work well. There are digital ones but I love the spring loaded ones. Not 100% as precise, but good enough and springs never run out of battery. Use something to protect your hearing on a long flight. Preferably something that doubles to hear music or watch a movie. This is my travel-size earphones case. It clips to my belt and makes me look like a dork, but it does the trick nicely without adding any bulk. 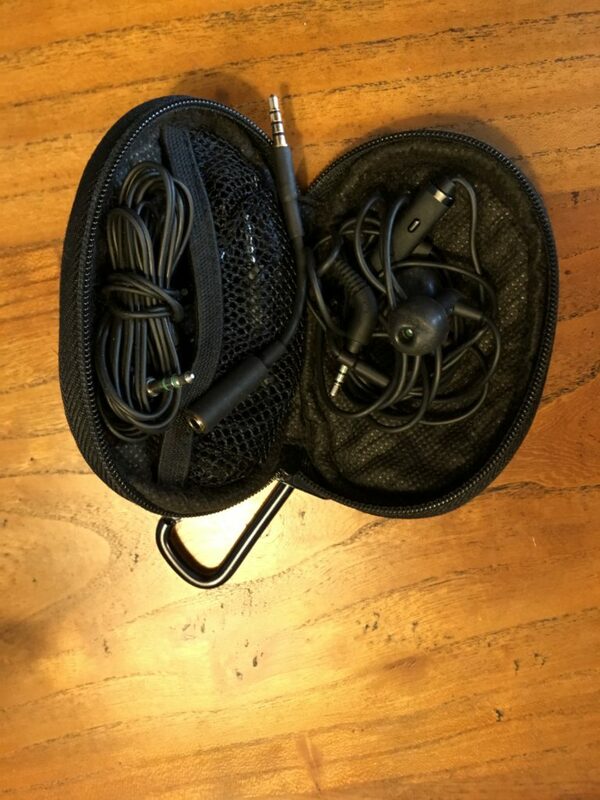 I modded a pair of Etymotics earphones with foam pads from Shure in-ears. They don’t use active noise canceling, but the foam makes for great insulation and I can wear them for hours without having to crank up the volume to too high levels. I have some mild tinnitus because I didn’t protect my ears for too long. The reason I don’t sport a pair of Boses is that they add too much bulk for my taste. Your mileage may vary. If you ever wanted to hook up your own headphones to an in-flight entertainment system, chances are you ran into strange double-mono plugs. No good if you have a stereo one. 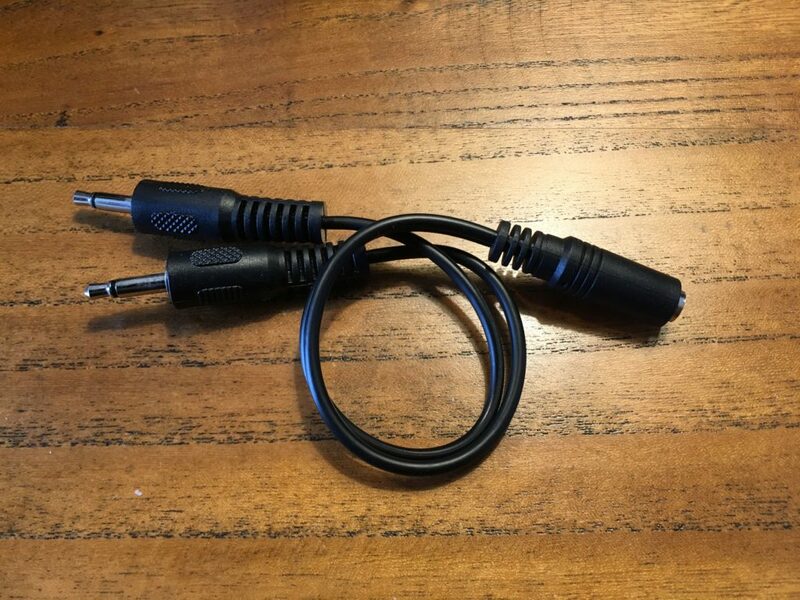 Get a cheap stereo to dual-mono adapter. 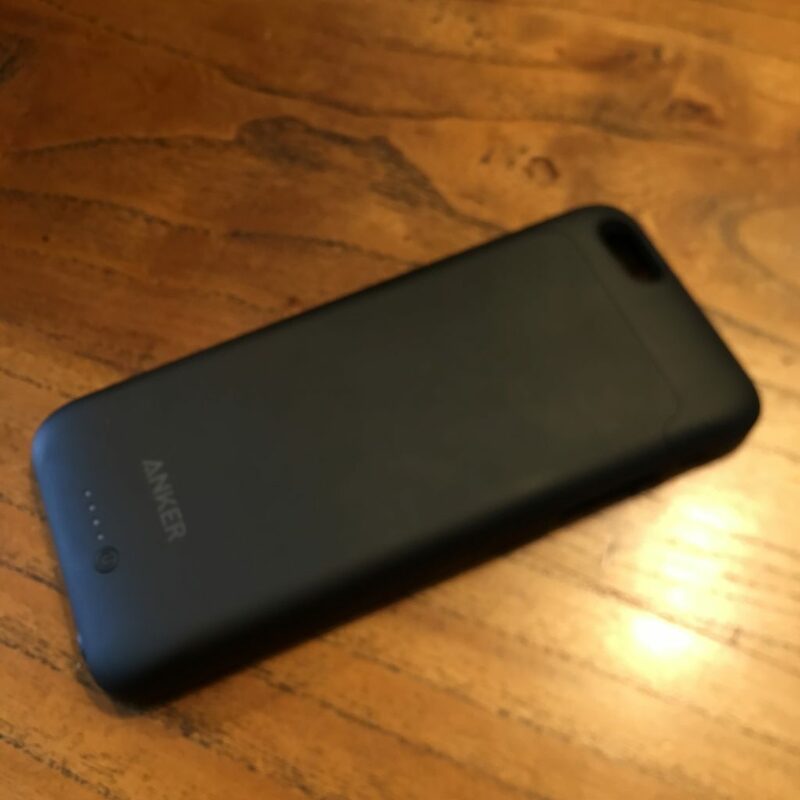 Anxiety killer #3: I never travel without a battery case on my smart phone. It recharges my phone at least once and adds another layer of peace-of-mind. As much as I dislike their user interface, tripit.com has been invaluable for my travels. On the web and on my smart phone. Often its enough to forward travel confirmation emails to their email address and things will magically show up on your travel plan. Hotels, transportation, flights, meetings, .. everything goes in there (including confirmation numbers, phone numbers, addresses, etc.) and it becomes my main anchor during a trip. Here’s yet another one that has become another huge peace-of-mind trick for me: I love my Apple watch for when I travel. Especially with the App in the air app. 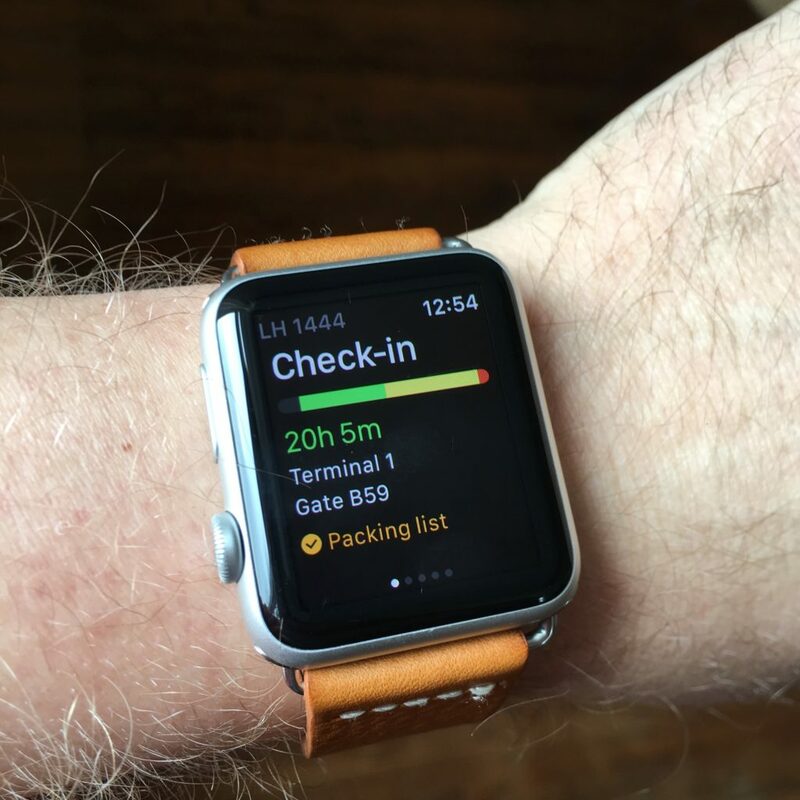 It syncs my flights from tripit.com and gives me the most time-critical information with a quick glance to my wrist. Of course it doesn’t have to be the Apple Watch, I’m sure this works with other smart watches too. Just the fact that I now always know how much time I’ve got left until boarding, what terminal I’m supposed to go, what gate number the flight is at are and what number the flight is. And I do this with a 1st generation Apple Watch and it works just fine, no need to splurge for the latest mode. To make your travel more enjoyable, take care of the worst ambiguities. Both during the preparations and during the actual travel. You’ll be way more relaxed!